How Common Is Dexedrine Abuse? Abuse of prescription medications has reached epidemic proportions in the US. Many kinds of medications are subject to abuse and addiction, including stimulant drugs that are used to treat certain behavioral disorders like attention deficit hyperactivity disorder (ADHD). Dexedrine is one of these stimulant-type drugs that is a target for abuse. With an action in the body similar to that of cocaine but longer-lasting, this substance is sometimes abused both for the euphoric high it can create and for the energy- and confidence-boosting effects it has. Understanding this attraction can help in recognizing Dexedrine abuse and addiction. Dexedrine is the brand name version of a medication called dextroamphetamine, a stimulant drug used to treat conditions that include ADHD. It has an amphetamine component, a substance that was originally used to treat conditions like nasal congestion, depression, and alcohol hangover in the early 20th century, according to the Center for Substance Abuse Research. Use of Dexedrine promotes focus and can make the person who takes it feel energetic, positive, and euphoric. As the strongest component in amphetamine, dextroamphetamine has a stronger effect than amphetamine. As a result, Dexedrine can have a stronger effect than drugs like Adderall that mix amphetamine with dextroamphetamine. Based on its stimulant effects, this has made Dexedrine a potential target for abuse for those who wish to experience its euphoric effects. Dexedrine is most often abused by teenagers and young adults. There are multiple reasons for Dexedrine abuse. As with other ADHD treatment medications, some students take it as a “study drug,” under the perception that it can help them improve focus on studying in the short-term, leading to more efficient study and better test performance in school. This perception has been shown to not bear out, however; students who use ADHD drugs as study aids have actually been shown to do worse on tests. In addition, a discussion from the book Chemically Modified Bodies indicates that some people are more likely to use stimulants if they have a negative body perception. Understanding that stimulants can cause loss of appetite and subsequent weight loss, these individuals abuse stimulant medications like Dexedrine to help them lose weight. The other reason people abuse Dexedrine is due to the euphoric effect that can result from its use. People who abuse Dexedrine specifically for the high sometimes get to that point through misuse that started for the above reasons. In addition, there are those who use Dexedrine to get high without first using it for any other purpose. While the prevalence of Dexedrine abuse itself has not been studied thoroughly, there have been a variety of studies regarding the nonmedical use of stimulants. 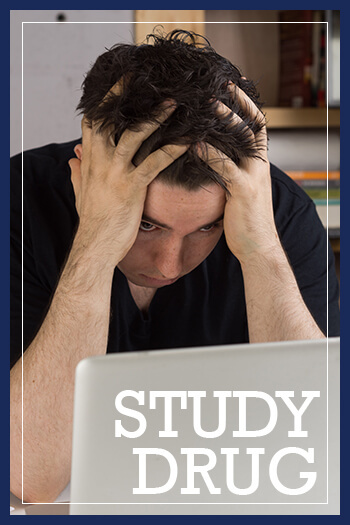 One example includes a study from the Journal of Pharmacy Practice, which determined that about 9 percent of doctoral pharmacy students abused prescription stimulants in one form or another. Another study from the Journal of Attention Disorders included research from an addiction treatment population. The results showed that the self-reported prescription stimulant abuse prevalence of a little more than 1 percent was much lower than the reports of prescription opioid (approaching 20 percent) or sedative abuse (more than 10 percent). There are multiple elements to recognizing Dexedrine abuse, based both on physical and mental symptoms and behavioral signs that can help confirm a suspicion that abuse is taking place. As with any suspicion of drug abuse or addiction, diagnosis should be confirmed through an addiction treatment professional or doctor. Just one of these signs or symptoms may not conclusively indicate Dexedrine abuse is present. However, if multiple signs are apparent, it could be time to get help from a treatment professional. As discussed by the National Institute on Drug Abuse, Dexedrine abuse can lead to dependence and addiction. In fact, research has shown that continued stimulant abuse can result in the atrophy and destruction of brain cells related to the dopamine system, which manages the pleasure and reward response in the body. The destruction of these cells means that it becomes more difficult for the person to experience pleasure, a concept discussed in research from Experimental and Clinical Psychopharmacology. This, in turn, causes the person to crave more of the drug in order to be able to feel pleasure. This becomes a vicious cycle, which can lead, in the long-term, to the person being unable to feel pleasure at all, a condition called anhedonia. This can lead to depression and thoughts of suicide. If an overdose on Dexedrine is suspected, medical intervention is necessary to prevent or treat these dangerous symptoms. 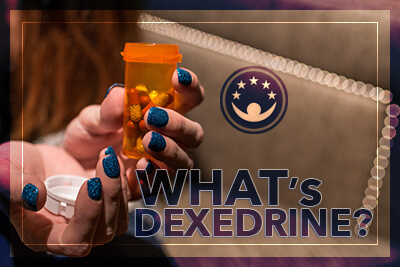 Other dangers of abusing Dexedrine include short-term and long-term physical or mental health effects that can result in injury, illness, and other long-term or even permanent damage. These can become more severe in the short-term if the substance is being abused. For example, short-term abuse can result in severe weight loss or feelings of hostility or paranoia. There is a perception that use of other drugs, particularly marijuana, can enhance the euphoric effects of prescription stimulants. One study from Human Psychopharmacology: Clinical and Experimental indicates that high school seniors who use Dexedrine are also more likely to abuse alcohol and marijuana at the same time. Interestingly, another study from the journal Substance Abuse indicates that excessive use of energy drinks can be a precursor to a person beginning to misuse and abuse prescription stimulants. It may be important to note whether an individual is showing a tendency to pursue means of increasing energy, focus, and performance, which could lead to a desire to misuse a prescription stimulant like Dexedrine. Treating stimulant abuse can be a challenge because of the severe consequences of using this type of drug, including the development of anhedonia and depression. These issues make relapse to stimulant use much more common than for other substances, even with treatment and months or years after initial use has stopped. For this reason, professional, research-based treatment can be the most reliable way to help a person recover from Dexedrine abuse in the long-term. Treatments that demonstrate the ability to help in stimulant abuse recovery include therapies like Cognitive Behavioral Therapy, which enable the individual to recognize triggers that lead to cravings and relapse, and apply tools and alternative behaviors that interrupt drug-seeking behaviors. 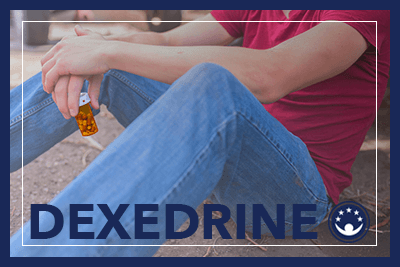 Research, including a study in Neuropharmacology, has shown that these therapies are the mainstay in treating stimulant abuse and addiction, including abuse of Dexedrine.